Tomato Bowl – Jacksonville, TX – Target Technologies International Inc. In 1940, the Jacksonville’s historic Tomato Bowl opened before its official completion to host its first event. 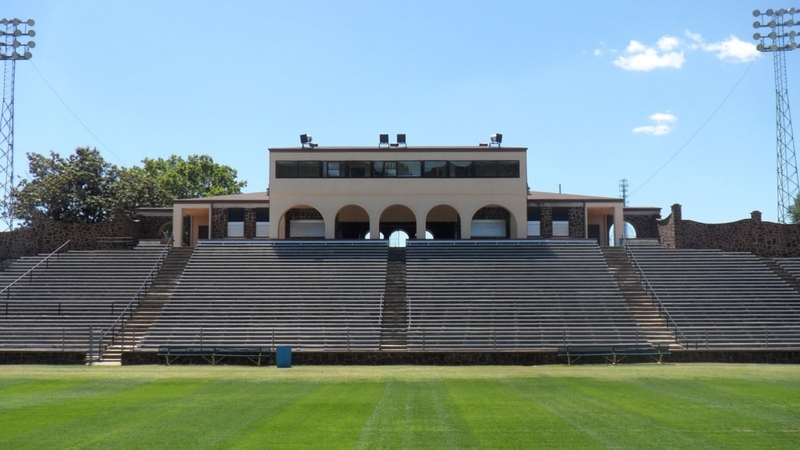 Fast forward to 2019, for only the second time in 80 years the Tomato Bowl stadium has undergone massive renovations. Aiming to preserve the stadium’s history as the landmark of downtown Jacksonville, the original walls have been kept and other historical items will be worked in to the displays. But this is a complete upgrade. The original concrete seating has been replaced by new bleachers with more capacity and accessibility for people with disabilities. Bigger dressing rooms, more concessions, a rebuilt press-box, a new video scorecard added, and the center jewel: the brand new turf field. Target Technologies is very pleased to have supplied our infills for the new field in this history-rich stadium.